As today’s market is so competitive, we have a range of a cost effective services for you. Whether you operate a small riding stables or a national attraction, we offer a complete marketing service, with a great deal of experience. Our distribution and advertising network is extremely comprehensive and gives you an understanding of what type of marketing is most effective. This knowledge is reflected in our design of leaflets, websites and our brand new app development services. We have been producing advertising brochures since the eighties, and constantly update our approach. We can take you step by step through the design, printing, and distribution process and offer other many ways of boosting footfall through your doors. 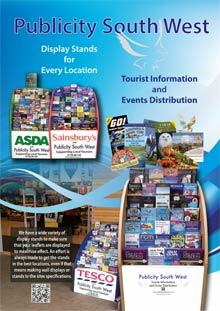 We have a vast network of display stands and delivery locations amounting to over 8,000 sites in the South West. You can benefit from our considerable experience of delivering leaflets for 26 years, and we are now one of the largest independent distributors, delivering over 200 different titles. We frequently top up and service the leaflets to help maximize the effect of your advertising material. Poster campaigns can also be undertaken throughout the South West. These are very effective, and we have knowledgeable staff to undertake this task. Hotels, Guest Houses, Campsites, Holiday Parks, Food Take-Aways, Tourist Information Centres, Bus Stations, Public Houses, Cafes and Tea Rooms, Supermarkets, Restaurants, Golf Clubs, Tourist Attractions, Holiday Villages, Self Catering Cottages and Apartments, Garages, Libraries (where appropriate), B&Bs, Launderettes, Leisure Centres and more. We are willing to deliver to specific sites, for example; Hotels and Guest Houses only, or Campsites only, whatever you require. We can give you a competitive price for quality colour printing at extremely low prices as we print over 6,000,000 leaflets each year and deliver 15,000,000. If you already have a print price we are certain we can beat it. Services include corporate identity, leaflet design, web design and hosting, promotional posters and much more. Anything that can help to put your name on the map. We handle jobs ranging from banners and signage to high quality catalogues and booklets. Whatever your requirement, we can supply on time and on budget. We have a highly experienced website design team with all the in-house skills to get your project off the ground. Having worked with some very well known worldwide brands, we can design anything from a simple website layout to a whole new corporate identity. On average, most websites could do with a refresh every three to four years. The mistake a lot of companies make is setting up a website and then forgetting about it! To keep your customers engaged, and to ensure the continued success of your site, it should be updated every now and then to keep it looking and performing at its best – if you don’t, your competitors surely will. 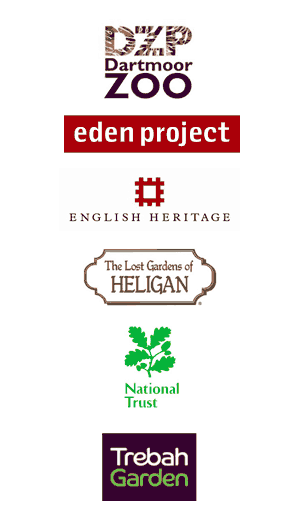 Our professional team of distributors will promote your attraction or event in busy high streets and high footfall tourist hotspots, handing out flyers and putting up posters. The Cornwall Events and Devon Events stands have a network of sites aimed more toward local residents. These stands are the perfect platform to promote any event be it festivals, theatre performances, comedy shows, live music, family fun days, art exhibitions or maybe a venue program for the year. We will tailor make a plan for distribution based on your budget, who you want to reach and what areas you want be included in. We offer a full range of staff uniforms, stickers, posters, banners, street signs, office stationery and many more products for your business. Designed, Printed and Distributed by PSW, these guides give the opportunity for all businesses, large or small, to advertise across the whole of the South West in a high quality, professionally designed publication, for as little as £100 all in. 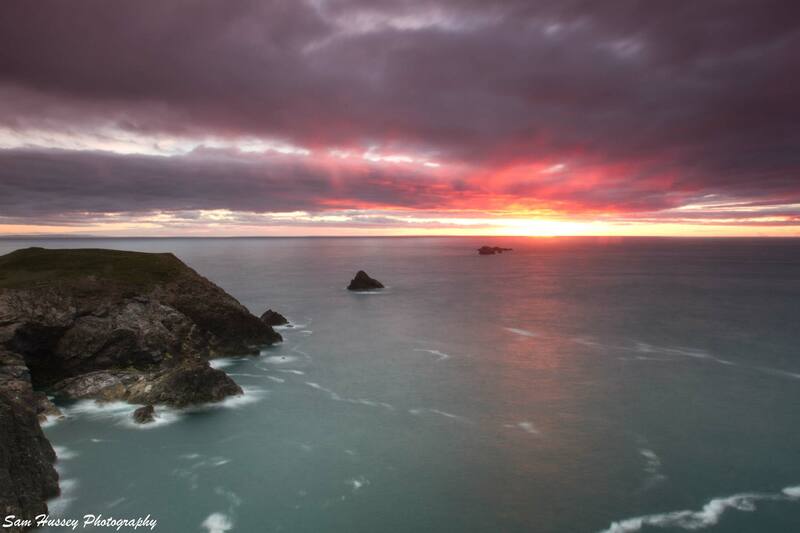 Advertise on Cornwall or Devon’s most popular tourism App. The Explore Cornwall and Explore Devon App will give you the chance to boost your business using one of the most up and coming formats available.